Nicole Walker and Jason Young star in The Underpants, written by Steve Martin. When Ignite! first asked Kat Heath to direct The Underpants, comedian Steve Martin's adaptation of a 1910 German farce titled Die Hose, she was several months pregnant. She warned the community theater that she'd likely have a newborn in tow when it came time for rehearsals. "I thought, there's no way they're going to want someone with a brand-new baby coming to the theater every night," says Heath. "And they said, 'Oh, yeah, it's fine.' So I take my daughter to rehearsals about once a week when I can't get a babysitter. It's been awesome. Challenging, but awesome." It helps, of course, that Heath is no newcomer to the director's chair or the demands of parenting while sitting in it. At Lake City Playhouse, she led Dearly Departed in 2011 and The Miss Firecracker Contest two years later. Between those two shows she directed Crimes of the Heart at Ignite! During that hat trick of productions her eldest child, now 3, was born. On The Underpants, she's assisted by Brandon Montang, who is less known for overseeing farces than being seen in them, most recently in The Nerd, and before that in Lend Me a Tenor and Epic Proportions. "We make a good team," Heath says, because she tends to play things straight, whereas Montang goes for the broad laughs. This play — contemporized by the same person who wrote the screenplays for Roxanne (itself an update of Cyrano de Bergerac, the 1897 play by Edmond Rostand) and The Jerk — has elements that call for both approaches. "It's about a woman whose underpants fall down at a parade, her husband's reaction to that, the scandal that it causes, and her growing independence. She gets caught up in her own fame, and she's courted by lovers," Heath says. "There's also a lot of physical comedy. The slapstick, the physicality — that is always what makes me laugh." 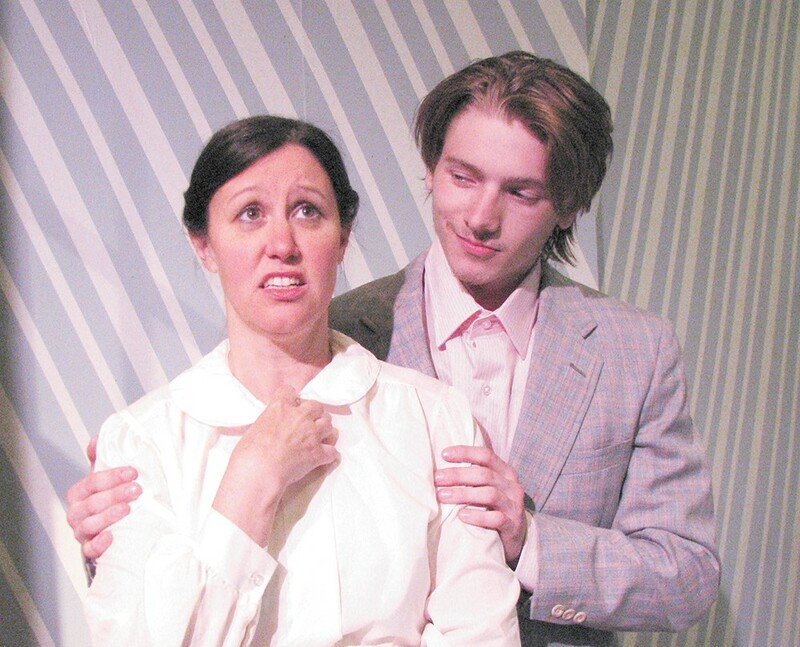 She points out that Martin's adaptation "is not a time capsule," even if it does retain some of the themes of Carl Sternheim's original play, such as thumbing its nose at convention and conformity. It also has unexpected sociopolitical undercurrents. "It's a bit of a feminist piece," Heath says, "just because her husband is an incredible jerk. You want to like him, but it's hard to because of the way he treats his wife," who's deciding throughout whether she wants to take a lover or "be the little bird in a birdcage that she was at the beginning of the play." In this production, Nicole Walker and Jason Young play the central couple, Louise and Theo Maske. Maxim Chumov plays Versati, an Italian poet and one of Louise's suitors. Susan Creed plays Gertrude, the humorless neighbor. Heath is working with some of these cast members for the first time. Walker in particular "brings a sense of calm to the insanity going on around her," she says, and the entire troupe and crew have a "passion" for the piece that carries through to the equally irreverent "topsy-turvy, angular" set.